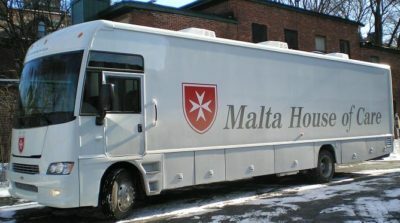 The Malta House of Care van provides care in neighborhoods on four afternoons each week. It is a walk-in clinic, so no appointments are needed. If the van cannot travel due to inclement weather or mechanical trouble, Clinic will be held at the Malta offices at 19 Woodland Street, Suite 21, in Hartford. Changes to Clinic hours or location will always be posted on Facebook and the home page of this website.